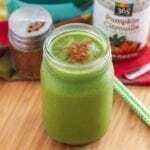 If you’re anything like me, you’ve probably been eating tons of root veggies, squash and all sorts of lovely fall produce lately. It seems to be around US Thanksgiving that everything on Pinterest switches from being all-pumpkin-all-the-time, to gingerbread and eggnog-flavoured treats. So with that in mind, I wanted to squeak just oooooooone more pumpkin recipe. 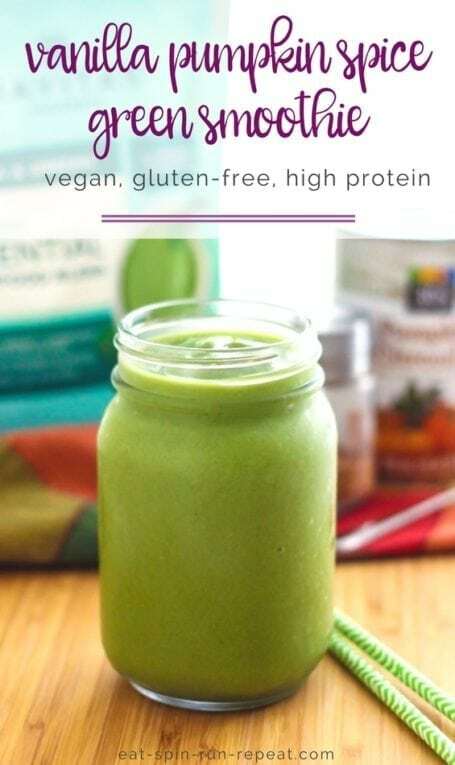 It’s been a long time since a new smoothie recipe appeared here on the blog, which is crazy because if I’m not making them for myself, I’m making anywhere between 6 and 12 each morning for my smoothie-loving co-workers. 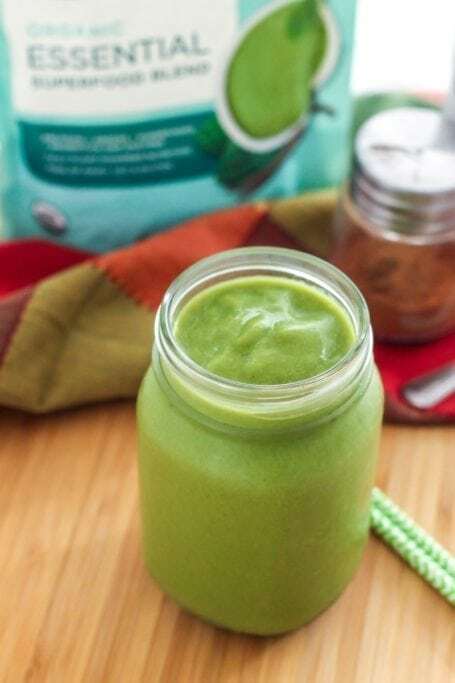 Even though smoothies are cold and may not normally be considered a cold weather beverage, I like to make them feel seasonal by adding a bunch of warm spices and nutty flavours. 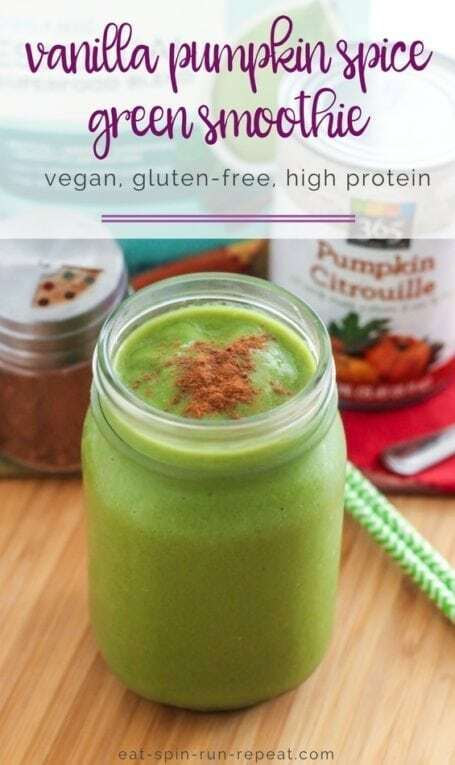 This Vanilla Pumpkin Spice Green Smoothie is a perfect example of that, made with pumpkin puree, pumpkin pie spice and maca root powder for an adaptogen boost. Maca also has a subtle nutty, caramel-y taste which I love this time of year. Enjoy! 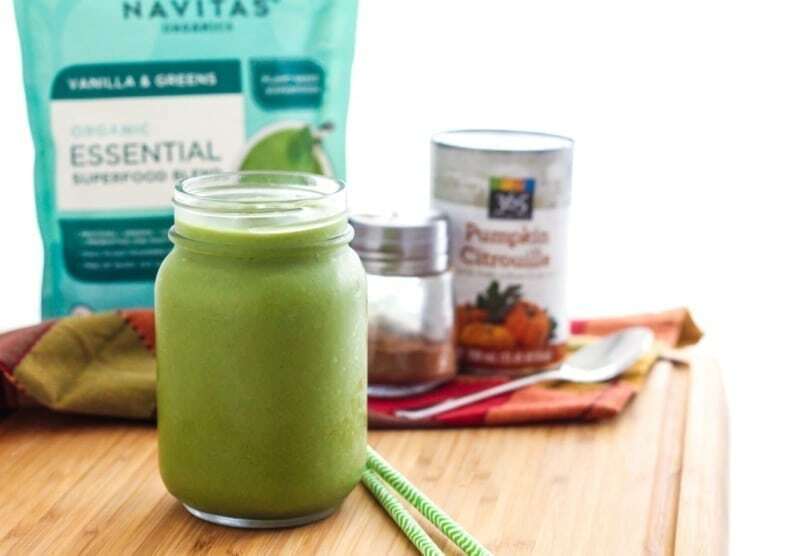 Greens, pumpkin puree, adaptogens and warm spices come together in this high-protein Vanilla Pumpkin Spice Green Smoothie, perfect for breakfast on fall mornings. 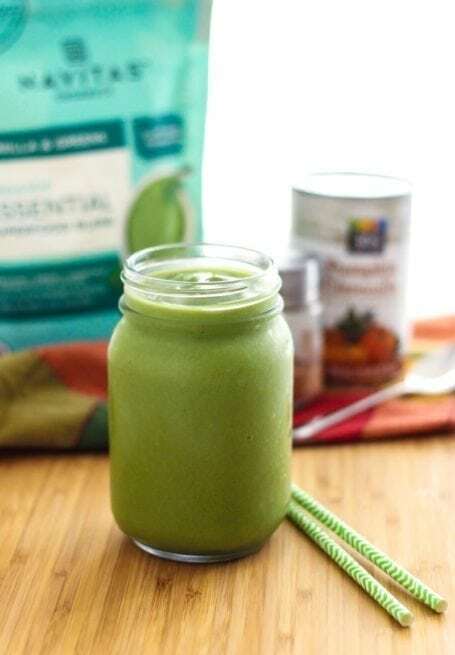 Place all ingredients except for the ice in a blender jug and blend until smooth. Add ice as needed, blending again until all cubes are crushed.